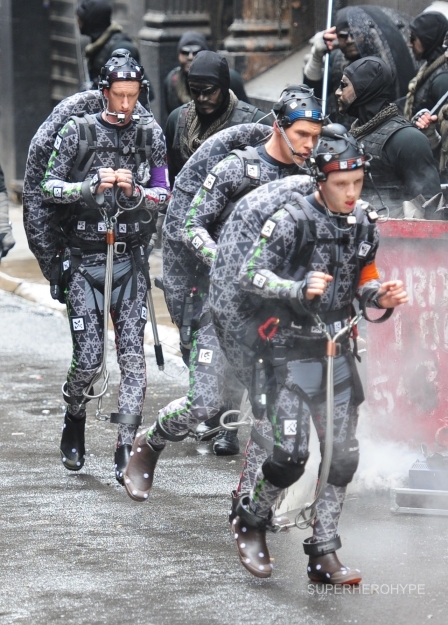 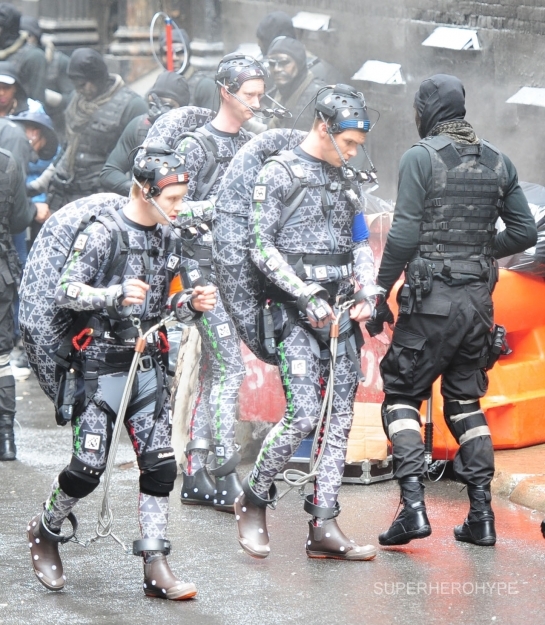 The other day we got our first look at Megan Fox as April O’Neil in Jonathan Liebesman Teenage Mutant Ninja Turtles, and today we get our first look at the actors playing the turtles in all their motion-capture suit glory. 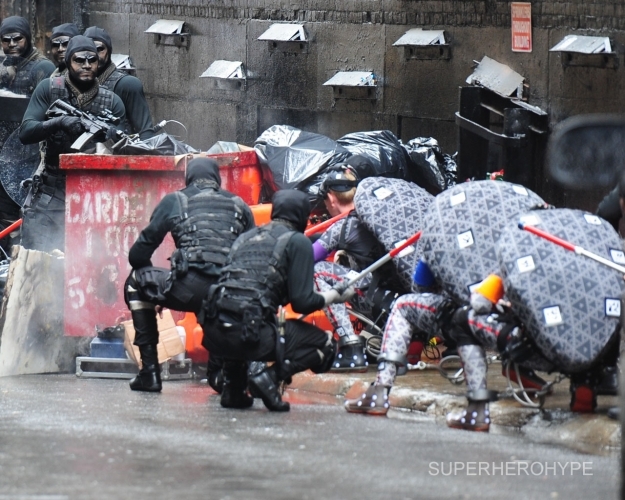 The pictures are great because you not only see actors Jeremy Howard (Donatello), Pete Ploszek (Leonardo), and Noel Fisher (Michelangelo) but you also see Shredder’s Foot Soldiers. 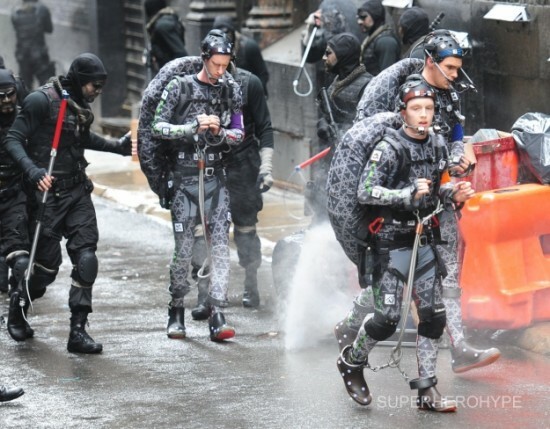 The only person missing from the pictures is Alan Ritchson who plays Raphael, but based on the pictures of the other actors in cuffs, it is likely this is a scene where Raphael rescues them. 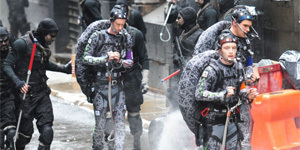 I’m getting psyched for this movie since I remember standing in line for two hours as a six-year-old to see the original Ninja Turtles movie back in 1990.